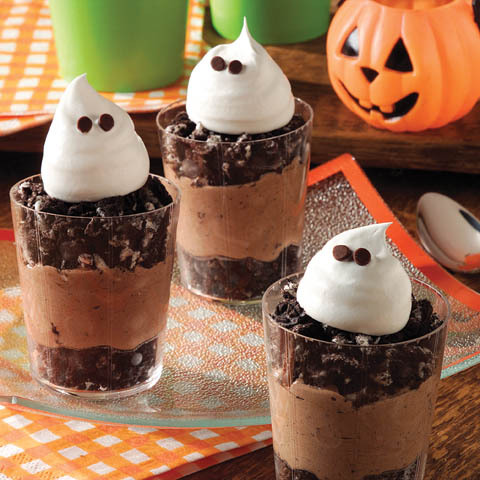 You'll hear "ooooh," not boo, when you serve these chocolaty delights featuring crushed Oreo Cookies, chocolate pudding and Cool Whip. Beat pudding mixes and milk in large bowl with whisk 2 min. 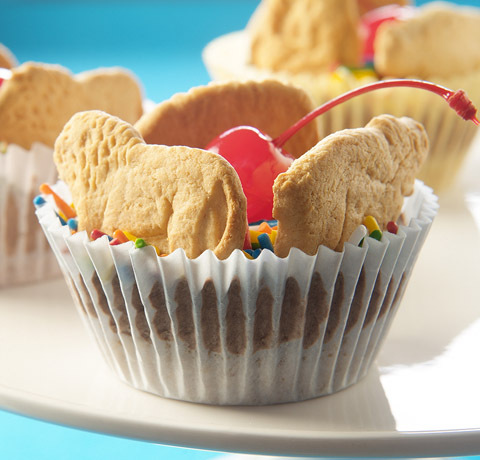 Stir in half each of the COOL WHIP and cookie crumbs. Spoon 1 Tbsp. of the remaining crumbs into each of 15 (6-oz.) plastic cups. Cover with layers of pudding mixture and remaining crumbs. 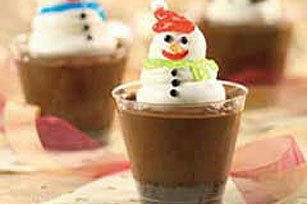 Drop remaining COOL WHIP by spoonfuls onto desserts to resemble ghosts. 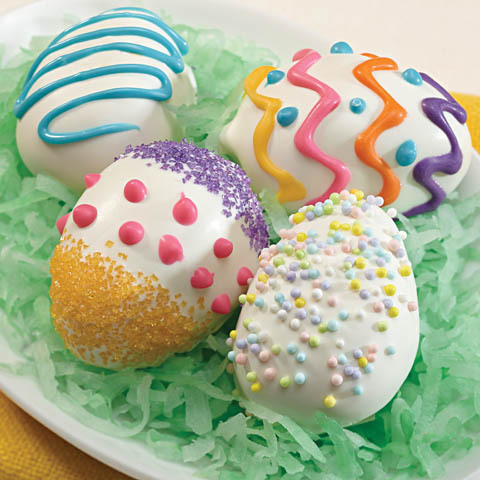 Add chocolate chips for the eyes. 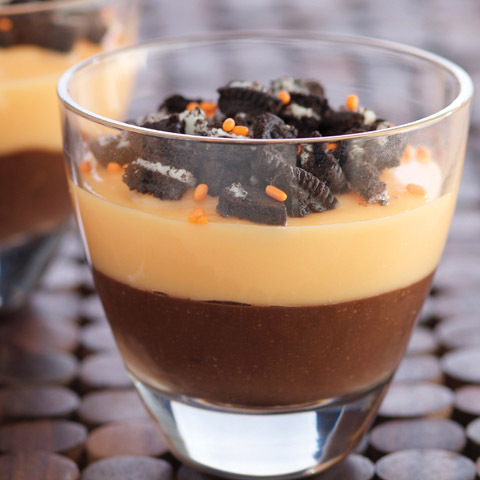 Better For YouSave 50 calories and 2g of fat per serving by preparing with fat-free milk, chocolate fat-free sugar-free instant pudding mix, COOL WHIP LITE Whipped Topping and Reduced Fat OREO Cookies. 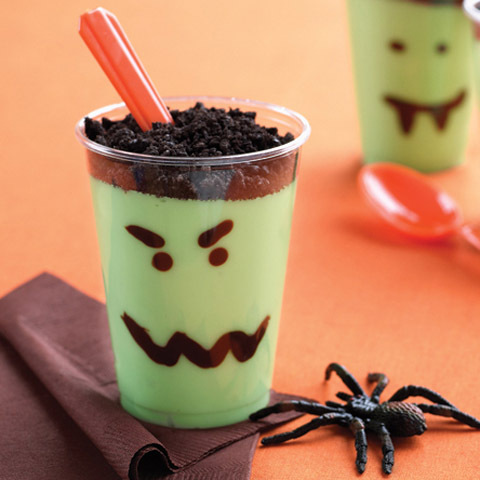 ShortcutInstead of spooning remaining COOL WHIP onto the desserts, use a resealable plastic bag to make the ghosts. Fill bag with remaining COOL WHIP; seal bag. Use scissors to diagonally cut off corner from bottom of bag. Squeeze COOL WHIP from bag to resemble the ghosts.